Discover the poster of the 33d edition of the meet in Nivelles ! More bout the meet ? Visit the event's page or visit the meet's website. Click on the image to upload the poster in high definition. 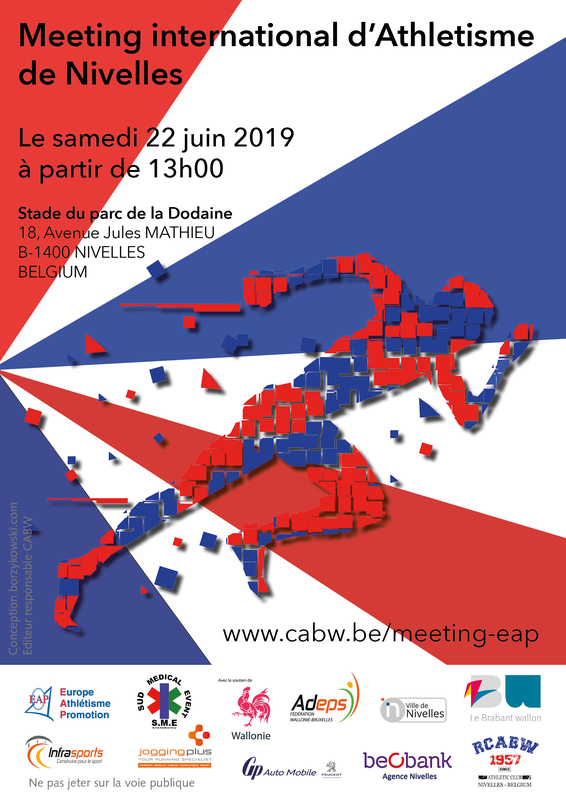 The International meeting of Nivelles is one of the most important meeting organized by the Cercle Athlétique du Brabant Wallon as part of the International circuit of European Athletics Promotion (EAP). This meeting is a good way for athletes to pit themself against other athletes coming from several countries round the world.